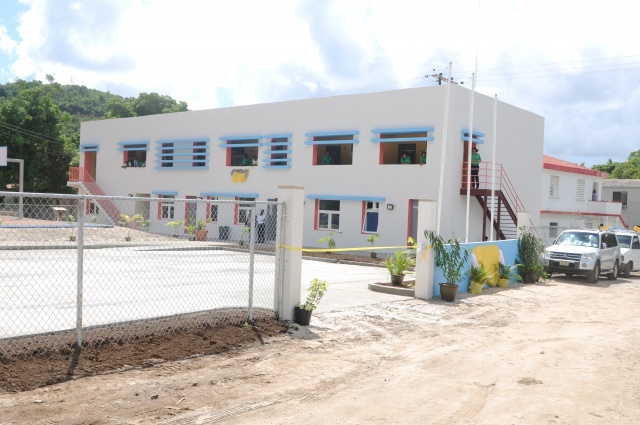 The Virgin Islands School of Technical Studies has been lauded by OECS officials who have said that the institution can be used as a model for the Network of Excellence for Tourism and Hospitality Training and Education. Team Leader and Human Resource Development Strategic Planning Expert with the OECS Dr. T. Jennifer Edwards, made the observation when she visited the school earlier this week. Dr. Edwards was in the Territory along with colleagues OECS Representative responsible for the Regional Tourism Programme Dr. Lorraine Nicholas, and OECS Consultant Mr. Paul Penfold, a Curriculum and Training Specialist. The team was on a fact finding mission to identify and develop emerging and established niche areas in OECS member states and see how they can fill the gap to develop the requisite human resource skills in those areas. She noted that each classroom is outfitted with the latest, up-to-date equipment in every single area and students have modern day access to teaching and can interact and connect with other virtual classrooms. 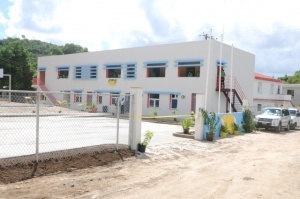 The Virgin Islands School of Technical Studies was officially opened on October 21, 2014. The broad programmes being offered this year are cosmetology, auto- mechanics and culinary arts. The Ministry of Education and Culture stands committed to developing needed competencies and skills in technical and vocational education to cater to the demand for specialized labour in the Virgin Islands and abroad. Also part of the visit, the officials met with stakeholders in the private and public sector on Tortola and Virgin Gorda. They also met with officials from the Ministry of Education and Culture, the H. Lavity Stoutt Community College. Meanwhile, OECS Representative responsible for the Regional Tourism Programme Dr. Lorraine Nicholas said, that the OECS in 2011 developed a common tourism policy which served to identify priority areas in the region where focus can be placed to enhance the competitiveness of the tourism sector. One of the 10 priority areas is human resources development, where a specific recommendation in the policy is for the OECS to develop an integrated system in tourism and hospitality training and education training in the region. Dr. Nicholas said that the idea behind the project is to link all the OECS institutions that offer programmes in tourism and or hospitality. She said the project is envisioned for each member state to specialize in an area that they are deemed to have a comparative advantage in.